Using ERP-Scale’s built-in web server, a weighing meter (or progress bar) can be displayed in the PI-Sheet. This is ideal for use when dispensing materials. 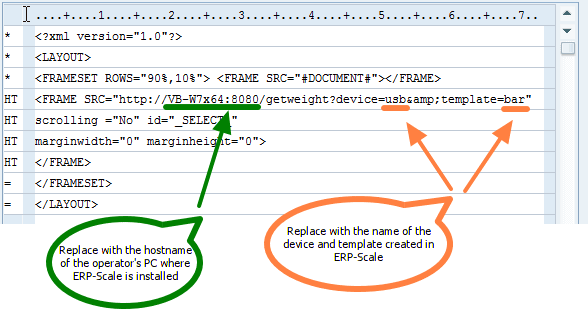 These instructions are supplied to demonstrate the functionality of ERP-Scale. They do not offer a full solution for dispensing or weighing of materials. They are supplied by Pocket Programs without any warranty. The progress bar is used to indicate to the operator if the weight is within the target range, however there is no validation that the actual weight falls within allowed tolerances. This validation functionality must be added to the PI-Sheet before it is used in a productive environment. 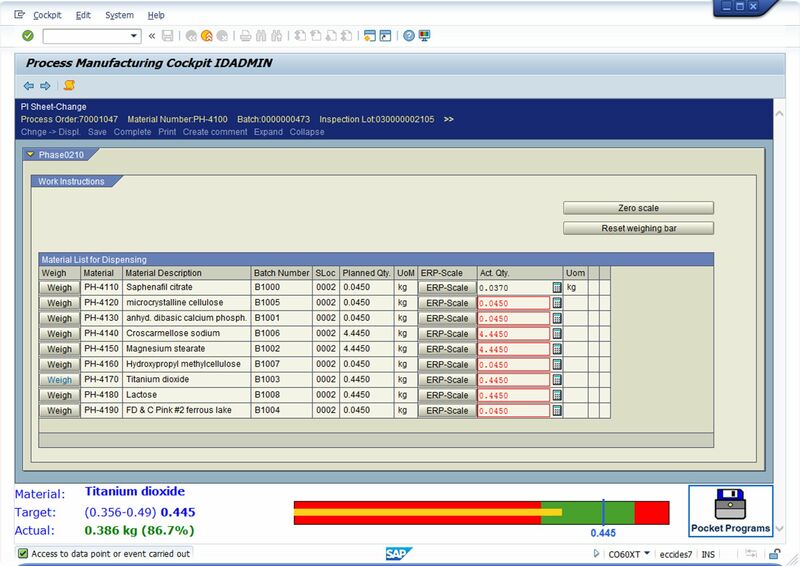 Install the latest version of ERP-Scale (Version 4.0.1 build B13.A14 or later). 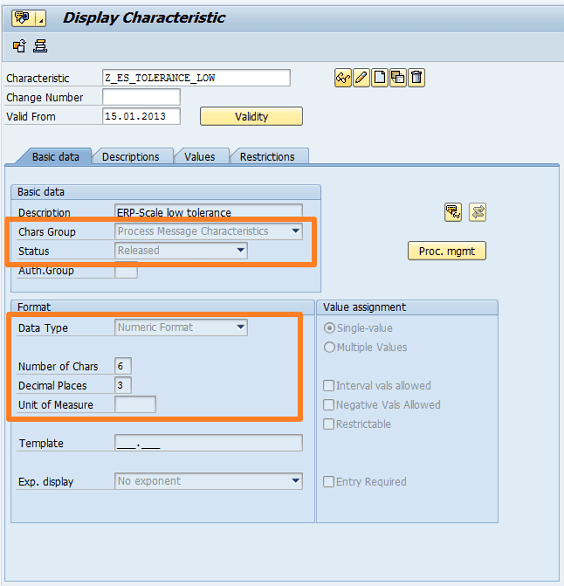 Data fields are used to write the target values from SAP ODA. 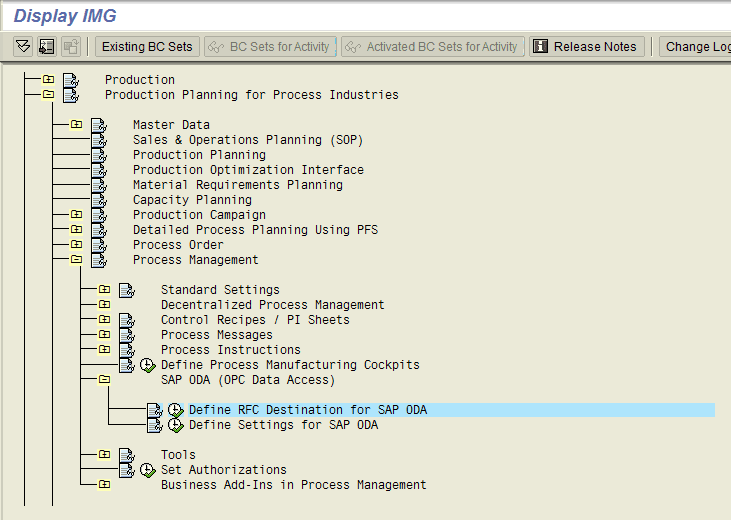 This code has been updated to support SAP GUI release 7.30. 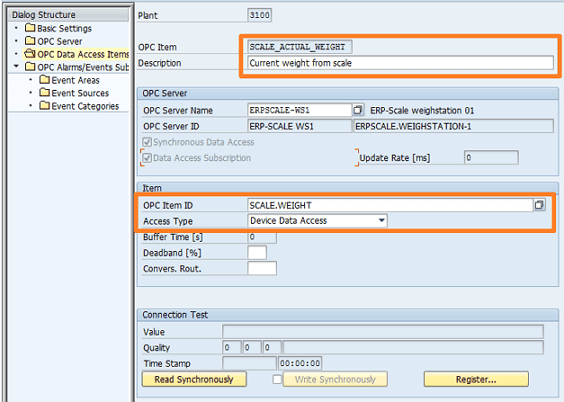 It requires ERP-Scale PQS V4.0.1 build B14.H15 or later. The target bar graphic is produced using the vector graphics library from Walter Zorn. // Are min and max set? // Are high and low tolerances set? 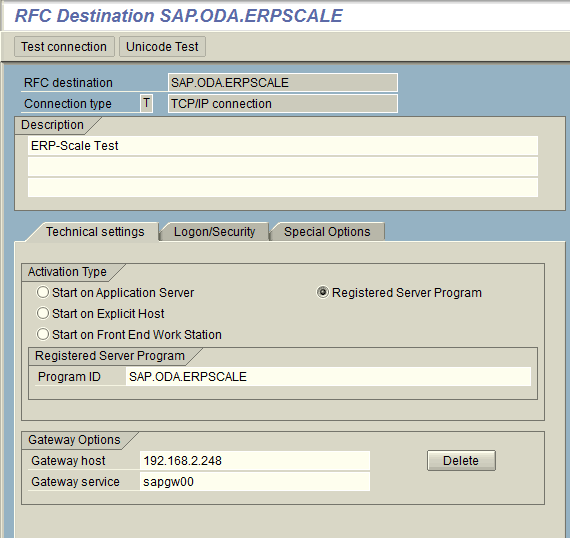 At this stage you can test the ERP-Scale web server templates. The PI-Sheet use ODA to communicate with ERP-Scale. 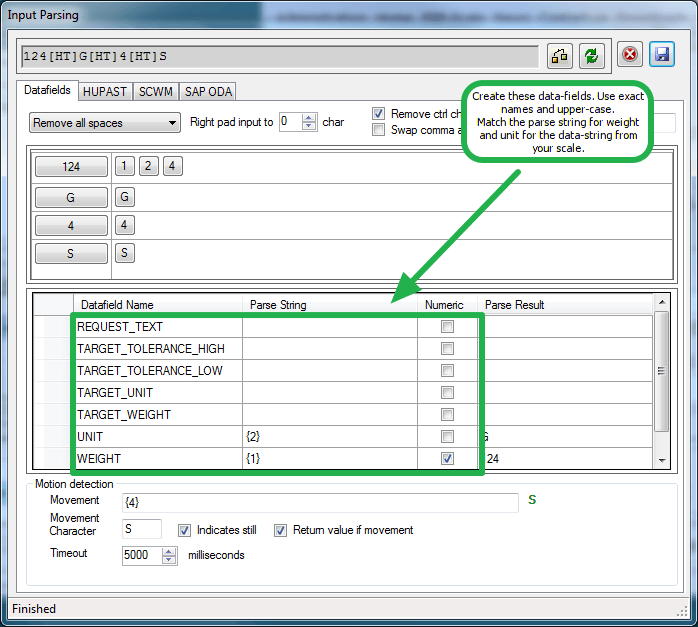 Data access items are required to write the target values (weight, unit and tolerances) and read the actual weight and unit. 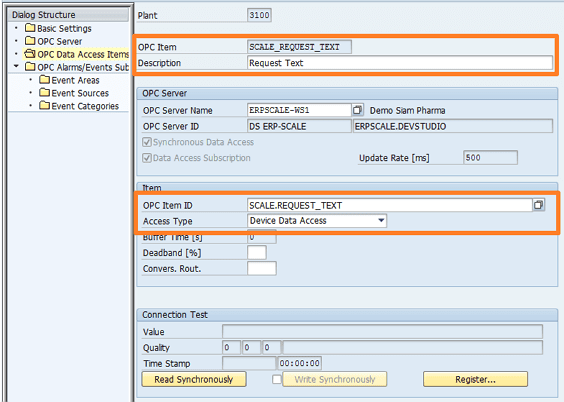 Use transaction COOPC1 to add new ODA data access items. In the prototype the PI-Characteristics Z_ES_TOLERANCE_LOW and Z_ES_TOLERANCE_HIGH are used to define the under and over tolerance (as a factor, e.g. 0.1 = 10%). The prototype PI-Sheet uses fixed values, however material specific tolerances could be determined using a function module. 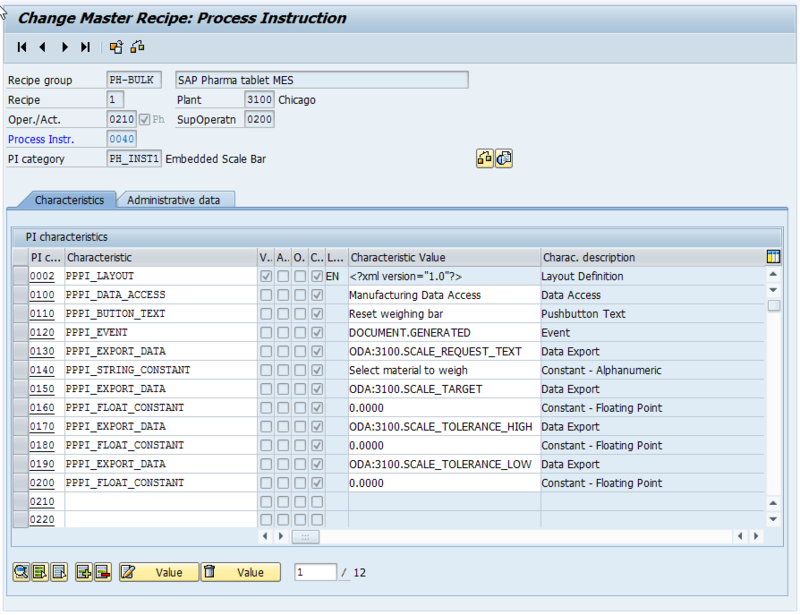 The table that displays the material list in the PI-Sheet is defined as a Process Instruction Category (General) in SAP. See the attached Excel workbook for the required PI-Instructions. The low and high tolerances are defined in lines 130 and 140. 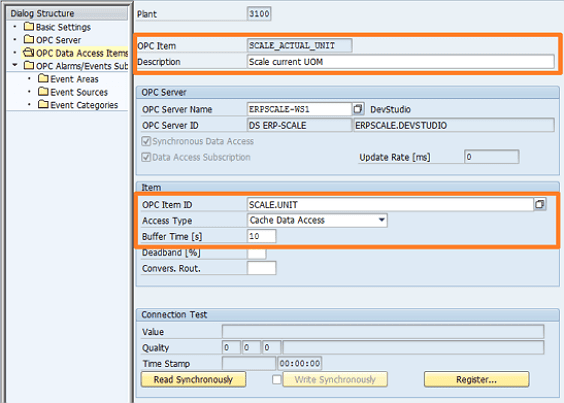 Change the characteristic values in the PPPI_EXPORT_DATA characteristics to match your ODA data access items. 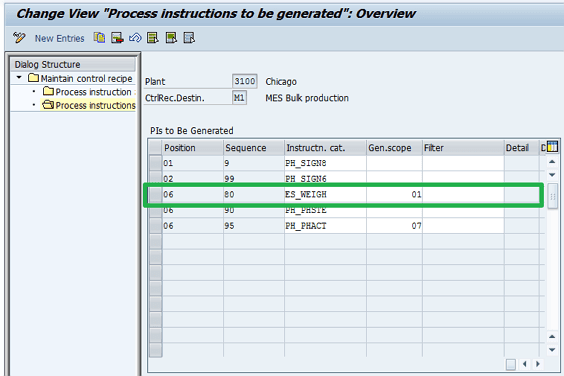 The newly created process instruction category must be assigned to the control recipe destination using transaction O10C. Also consider if the Process Manufacturing Cockpit will require reactivation. See the attached Excel workbook for details of the PI characteristics.